Reston Coach Transportation has late model Town Car sedans & full size SUV for any type of private & corporate events & airport transfers. When you hire Reston Coach to provide you with professional limo & sedan service be certain that your privacy is fully protected. We offer 100% discreet transportation services . Reston Coach Transportation Company is one-stop limo & sedan transportation solutions offers 24 hours DC airports limo, shuttle & car services. Our low flat rates are based on point to point airport transfer or hourly loops shuttle bus services on our luxury black town car sedans, full size SUVs, passenger shuttle vans & all size shuttle buses. We can pick you up from anywhere in DC metro area to the airport departure gates at Dulles Airport, DCA Reagan National Airport, BWI airport and or all private jet regional airports. As for airport pickup, our experienced chauffeurs can meet you at the baggage claim and will assist you to get your bags and deliver them for you so you can deal with your other important tasks. Reston Coach Bus Company offers corporate group shuttle transportation contract at low discounted rate. Open a corporate Transportation account and save time & money, you will receive monthly transportation invoices & statements with complete details about each and every trips with error free, accurate billing. 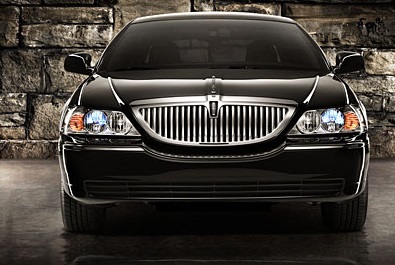 Our late model black Lincoln Town Car, Cadillac, Mercedes sedans and professional chauffeurs can improve your corporate image. Our late model 20-36 passenger Minibus/ shuttle buses can offer one way airport transfer loop shuttles, scheduled,fixed route shuttle services for short or long term contract at low flat rate, hourly rate and or daily fixed rate. Trust the company who has long experience & reputations. You can depend on Reston Coach for all of your airport transportation needs.